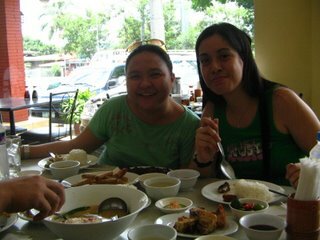 We were on a road trip last Friday in the south when we neared lunchtime at Laguna. "Let's go to Rose and Grace! ", Dessagirl blurted out. 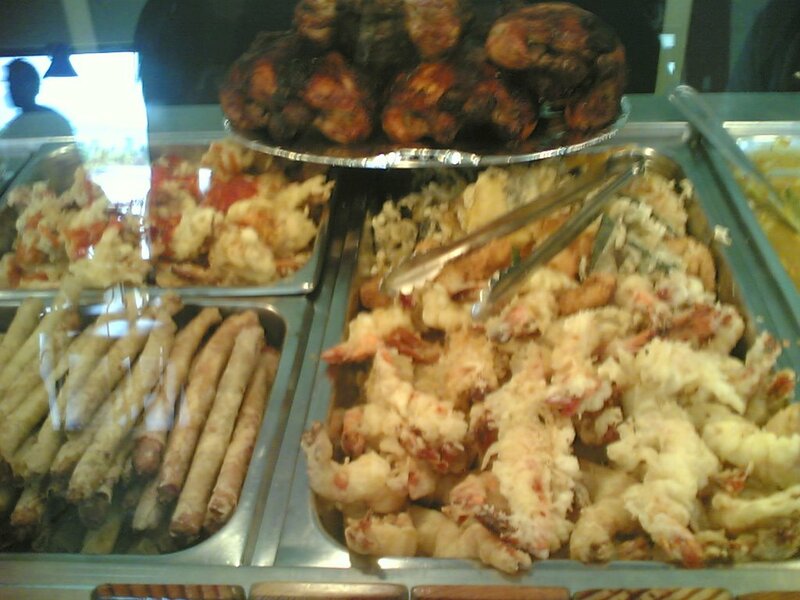 "The food there is great! And it's quite near here already." Dessagirl is a certified food connoiseur, so Rose and Grace it is for lunch. Our curiosity was piqued, however, when we arrived at the restaurant. The name has changed! It's Grace, sister of Rose! (1) Rose and Grace had a falling out. 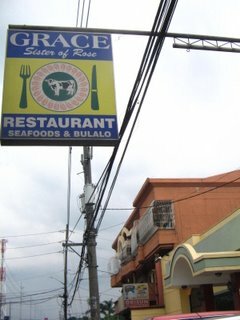 But since the restaurant was popularly known with both their names in it, Grace grudgingly added Rose in, but with a lower billing. (2) Rose went to heaven, and Grace doesn't want to let go. (3) Rose has become a servant in the restaurant. We actually thought of asking why the name change, but Grace might run away from us crying as she re-lived the traumatic events. So we decided to leave it as that: a guessing game. 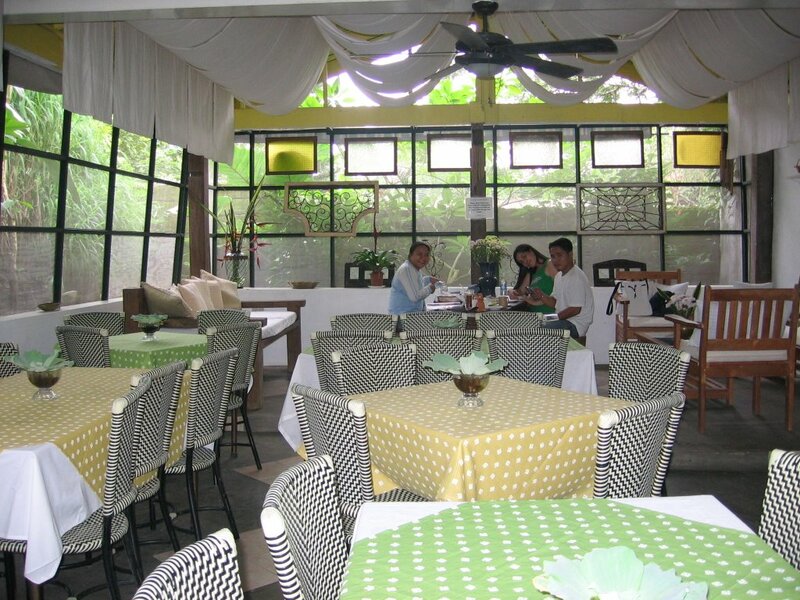 The restaurant is designed cafeteria-style. Go to the counter, order what you like, and it gets served to your table. The choice of food is enormous! 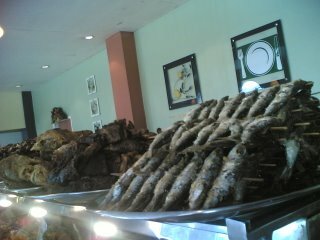 There's skewered tuyo (dried fish), which goes well with vinegar. 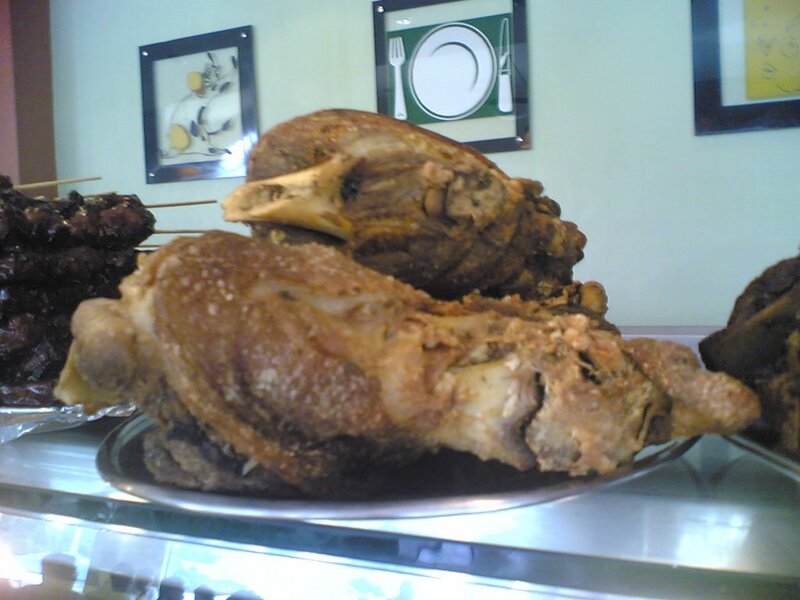 Can you feel your forehead throbbing with this crispy pata? I love lumpiang shanghai, so we ordered that, and the shrimp tempura as well. Mm-mmmm! 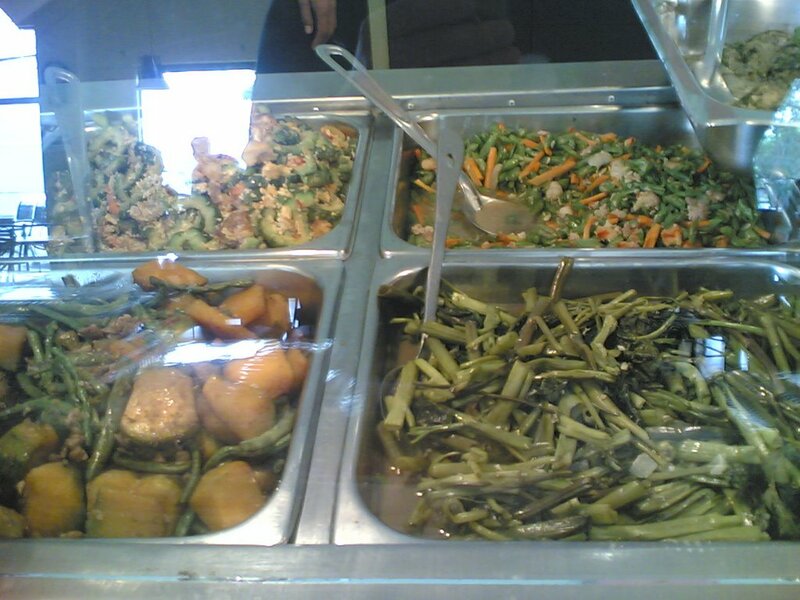 Let's have some vegetables, shall we? To make the long story short, we had a feast for lunch! We actually ordered more than we can handle, so we even had some for take-out. Kudos to their chef! Home-cooked meals they were. And the service is great too! Yes, great food truly makes my day. And based on this photo, Dessagirl and Follen's days too! 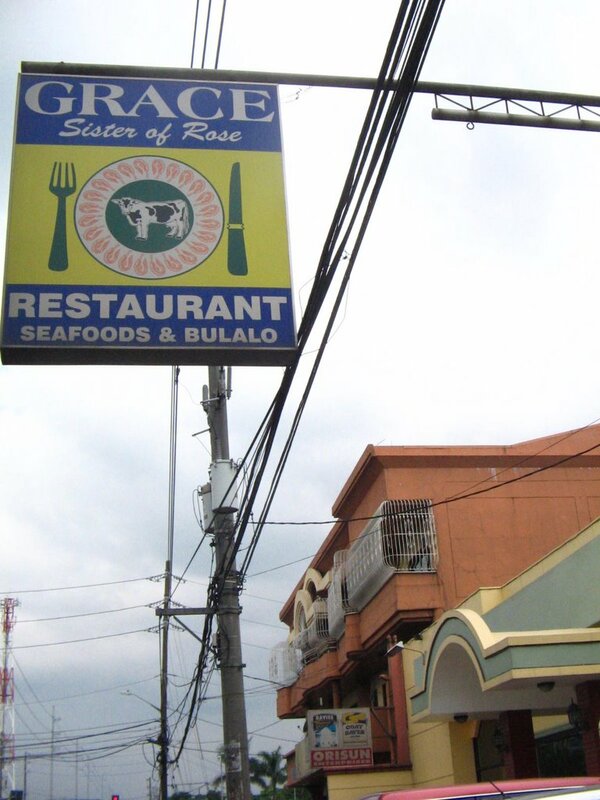 Grace, sister of Rose (strange name for a restaurant) can be found in Brgy. Tulo, Calamba, Laguna (thanks jgotangco!). Have you ever been to a place that took you by surprise, and got all delighted by it that you'd want to share it with everybody else? It's your piece of Narnia (pardon the comparison; I'm still having a Narnia hangover from last night's DVD watching) that you'd want your friends to join you in your adventures. I found such a delightful place in Tagaytay last Friday. 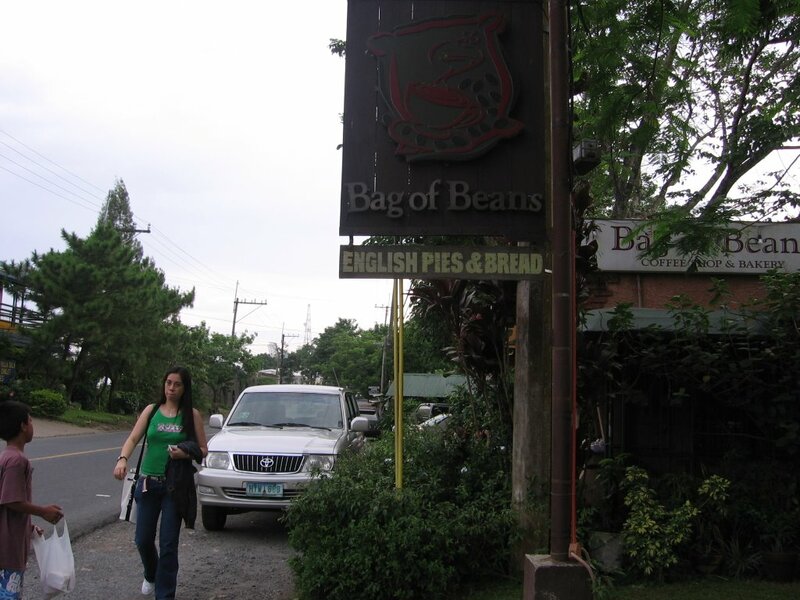 Bag of Beans is tucked unceremoniously by the roadside and if you don't look close enough, there's a big chance you'll miss it. When you do find it, the narrow entrance leads to a downstairs pathway, culminating in a high, narrow cage with parakeets inside. 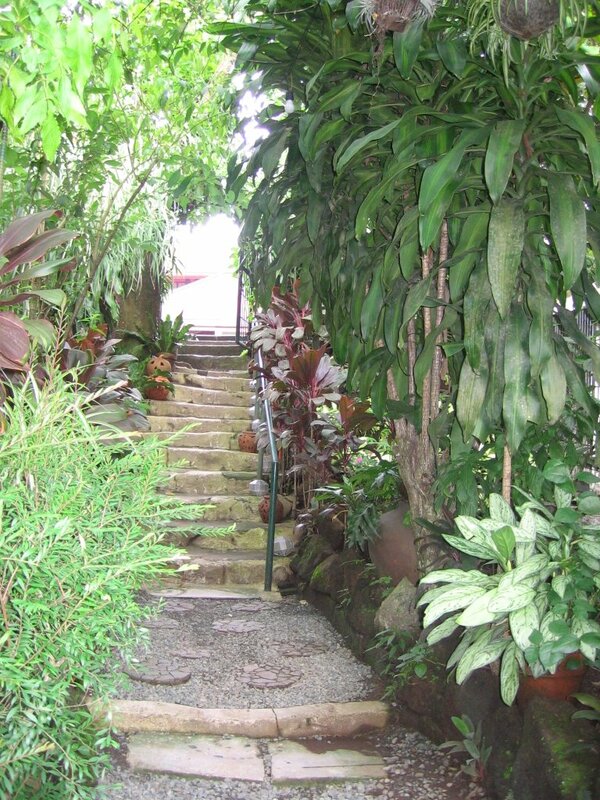 You find yourself in the middle of a small garden, with paths leading to cozy nooks where you can relax and chat the afternoon away while sipping your coffee and breaking bread with friends. Hmmm... I didn't realize this little piece of Narnia was quite popular because all the nooks were occupied (there are three in all I think) so we settled for the bigger venue. 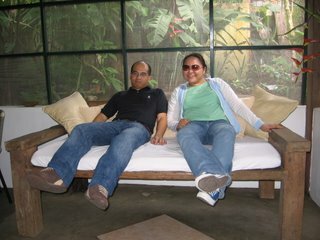 After getting our orders in, Follen and I settled on the daybed. But I settled for the chair soon afterwards. It was too inviting, you might as well find yourself dozing off. Dessagirl and Follen settled for strawberry cheesecake and banana split, respectively. Are they facing the firing squad right after this? I couldn't decide on what to get for a mid-afternoon snack, so I settled for the cinnamon-raisin bread. Dessagirl's eyes lit up. Good choice! And it was! 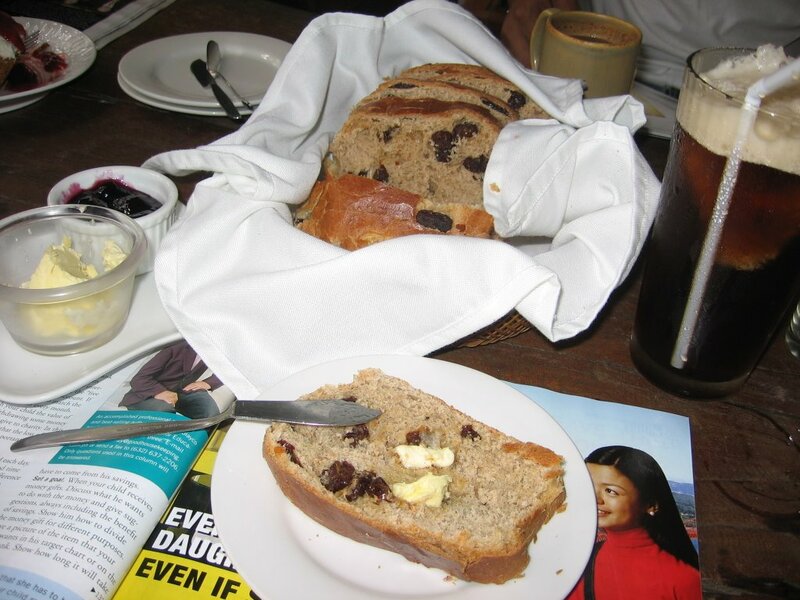 The bread was served warm, with butter and jam. Wham bam! Shazam! 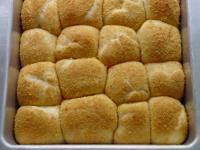 The bread was so good that Dessagirl and I bought a loaf each to bring home. We would have loved to linger on but there was still work to be done! We were on occular duty. We sighed, looked around a bit not sure when we will ever come back, then walked up to the parking area where our service vehicle was waiting to whisk us away back to reality. For those who love mnemonics to remember basic listing of general knowledge thingamajigs, the above represents the arrangement of the nine planets of our Solar System (Mercury, Venus, Earth, Mars, Jupiter, Saturn, Uranus, Neptune, Pluto). However, astronomy books and this mnemonic will have to undergo some changes soon. Pluto, as voted upon by the International Astronomical Union (IAU), is no longer considered a planet. A planet is now distinctly defined as "a celestial body that (a) is in orbit around the Sun, (b) has sufficient mass for its self-gravity to overcome rigid body forces so that it assumes a hydrostatic equilibrium (nearly round) shape, and (c) has cleared the neighbourhood around its orbit." I believe Pluto has a little problem with item (b) and (c). It's quite small to attain self-gravity and attract the small objects in its orbit and clear it off its path. 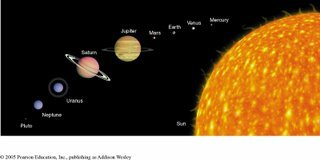 Pluto has been demoted to "dwarf planet" category instead, alongside 2003 UB313 (temporary name), which is a celestial body found orbiting outside Pluto's and is roughly the same size as the latter. In which case many argued how come UB313 (codenamed Xena) is not being classified as a planet when Pluto is? I wonder what became of another orbiting celestial body called Planet X which we learned about in my late high school years? It was also found orbiting outside Pluto but its path is vertical as opposed to the known planet's horizontal orbit (when a simplified drawing is made). Pinakbet is a vegetable dish that's popular in the northern part of the Philippines, particularly in the places where Ilocano is spoken. Making it is really simple. Just mix up the ingredients as you put in the things that cook the longest first, and you're good to go! 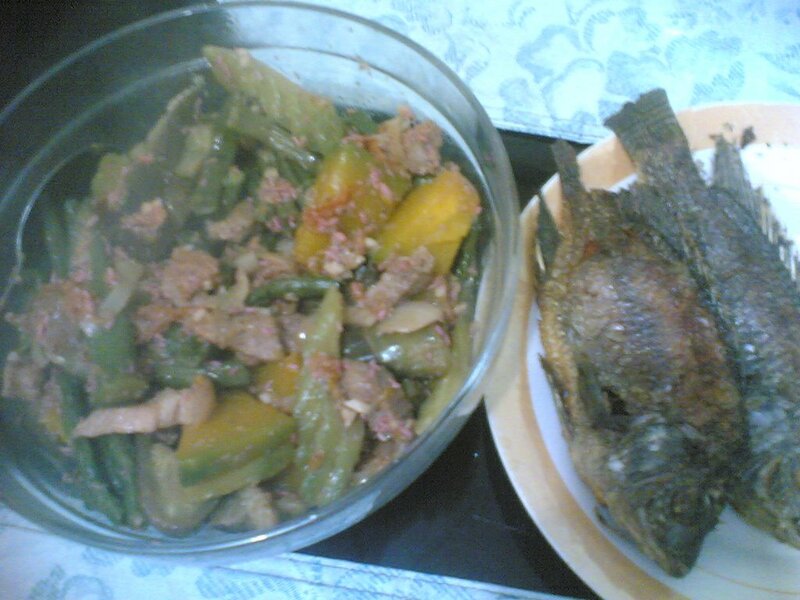 shrimp paste (alamang) OR fish sauce (bagoong). I love pinakbet cooked in fish sauce but for that lunch, we opted for shrimp paste instead. Wala lang. 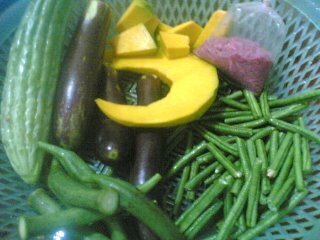 Wash all the veggies and chop. Put the pork into the frying pan and pour water unit submerged. Cover and cook until all water has evaporated. The pork will start releasing its own oil. Let it cook until brown. 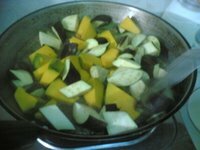 Help by adding cooking oil. Protect yourself from hot oil splatters using the frying pan cover while tossing the pork around until brown. Set aside the pork. 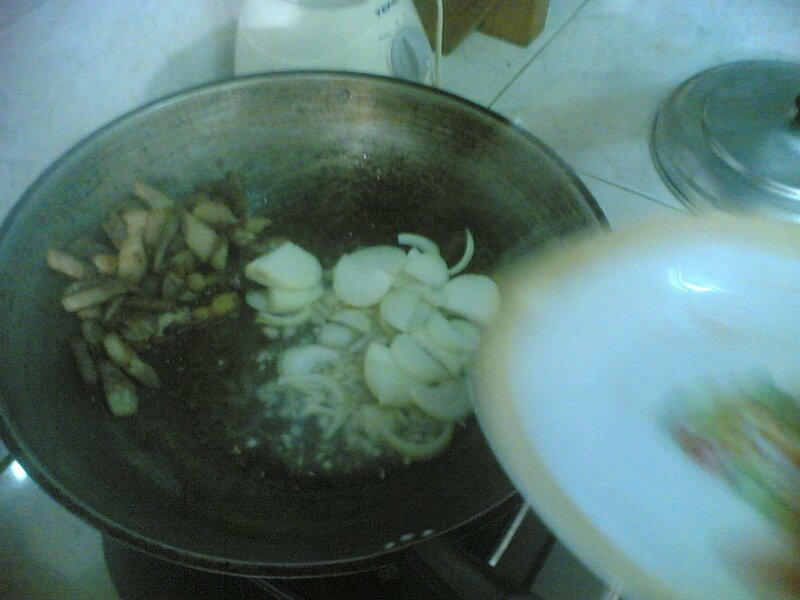 Pour in a bit of cooking oil and stir-fry the onions and tomatoes. 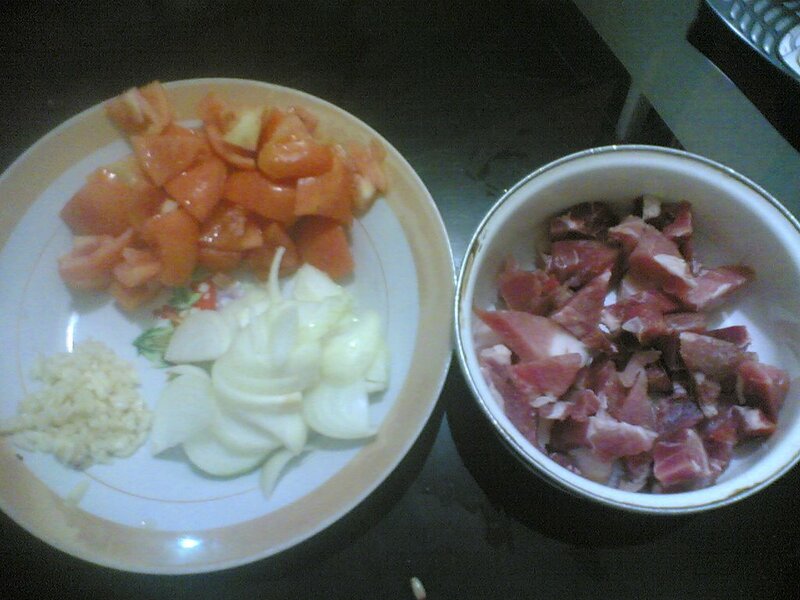 When the onions appear a bit translucent, put in the tomates and continue mixing. Listen to your stomach rumbles because of the aroma! Put in the shrimp paste. Mind that this is a bit salty. If you don't want your dish to be on the salty side, elders advise washing the shrimp paste a bit first to weaken the flavor. 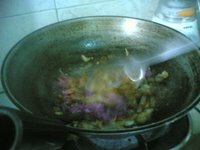 If using fish sauce, drain it with a strainer over the frying pan so only the sauce goes to the dish and not the fish. Serve with hot, steamy rice! Great with fried fish too! 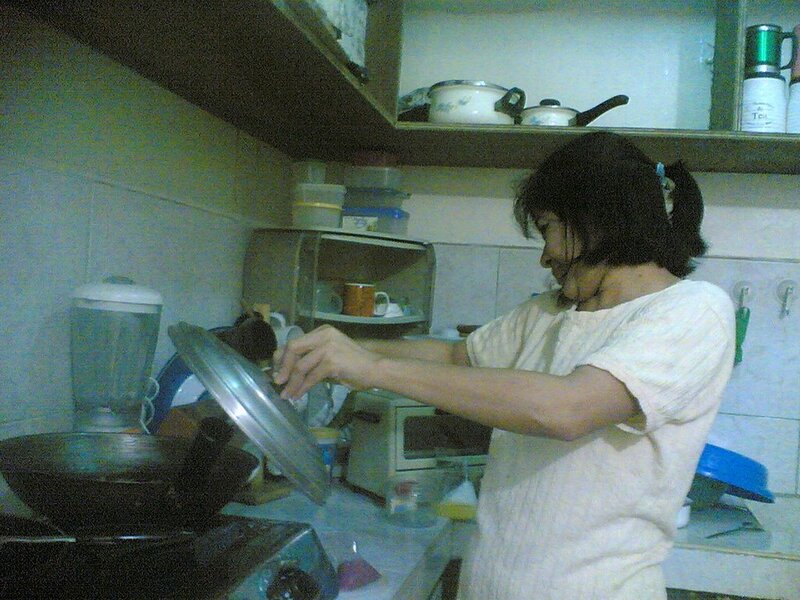 Drop by the Baguio-Quezon blog for the cooking oil prank! "Dyahe naman, ang liit at magulo sa bahay namin." "Ok lang yun! Hindi naman yung bahay ang dadalawin namin eh. Ikaw!" I've heard this lots of times we would like to spend more time together and end up in a house so parents won't get worried. 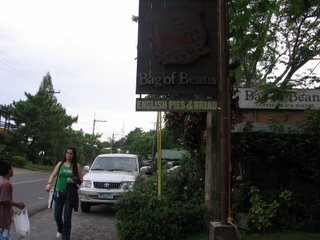 Yup, that's the way we sometimes had fun in Baguio. 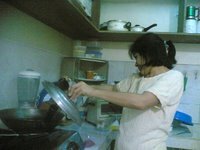 We stay in a friend's house, bring food to cook and help in cooking it, play cards or whatever game's available, and chat on and on. Ah, the simple, fun student life! At times it's me saying how cramped our house is. Because, compared to the real nice houses they have, ours could be ... well, it simply was incomparable. But those words, of them saying it's me they're visiting and not the house, makes me say "sure!". Many of my memorable, happy moments are with these hanging-out at home weekends. It's just increadible how some people who are obviously affluent can be so down-to-earth! They don't mind getting their hands dirty doing the dishes and cooking. It's ok for them to commute. They don't talk about their riches in a bragging sort of way. When it's time to go home would you get the reality check that they live an exclusive village, that they own this big clothing shop in Session Road, or that he is actually a pilot and goes to other countries like it's just next door, and this other friend has a condo unit right smack in Makati, and another goes to the Sates regularly for vacation. But best of all, they accept you for who you are. It doesn't matter if you don't own a car or a house with a garage. You're friends, and that's all that matters. PS This richness post was inspired by Mama Jenn. Her article reminded me of my friends through the years who looked beyond what I did not have and saw that we have things in common. Thank you! I was eating my merienda consisting of palabok and lumpia awhile ago when I had this flashback from the mid-90s when I was new in Manila. 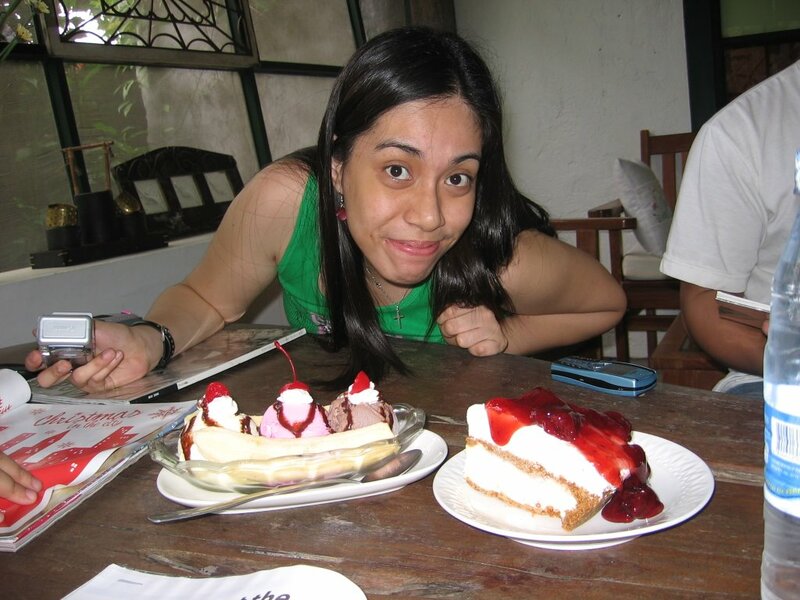 I new in my job and didn't know anybody else in Manila, and so I had to stay with my uncle in Guadalupe where he had a bakery. After work, I would help out in selling bread. I swear, these dialogues were really so unnecessarily long that I sometimes grit my teeth and pretend to smile (they're customers after all). Why can't they just say, "Pabili ng Royal, isang litro. (I'd like to buy Royal, 1 liter)", and be done with it? Remembering this made me feel a bit annoyed, even today. Try observing this at your local sari-sari store and you'll see what I mean. Here's another incident which I find really amusing (for a change!). I have told this story countless times. 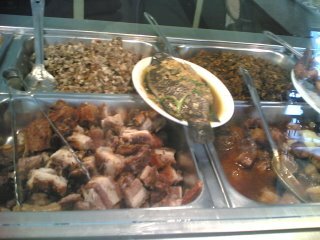 A customer dropped by and said "Pabili!" Customer: "What loaf bread? 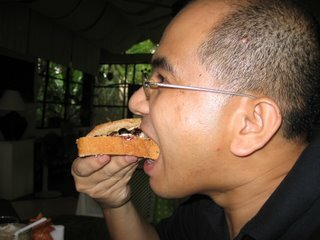 That's Tasty!" I came across this project while browsing through my e-mailed inq7.net update. This is a collaboration of Filipinos and Filipino-Americans abroad. A concerted effort to help the landslide victims of Leyte. 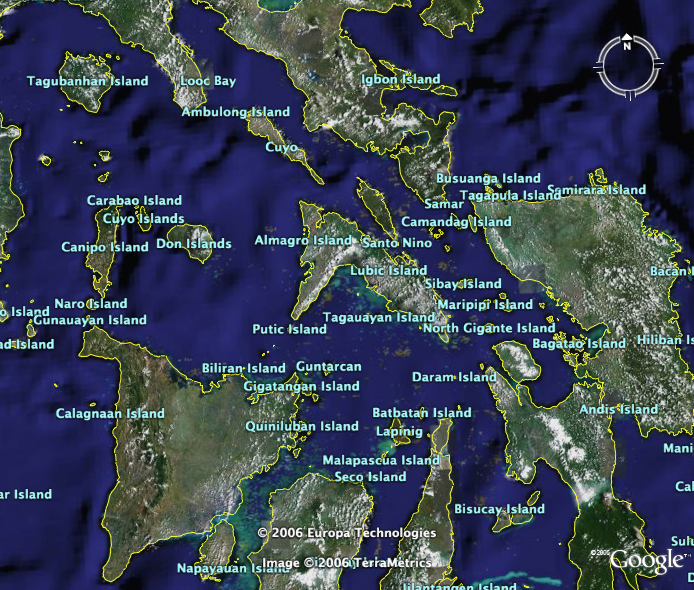 “In February 2006, the Philippine province of Southern Leyte was rocked by mudslides caused by relentless downpour of rain and a minor earthquake. The mudslides devoured everything in their path; villages, crops, livestock… and people." "Upon hearing the news, I threw out the idea of a benefit CD to my fellow musicians and artists here in the US and they responded enthusiastically. Transplanted Pinoys and Filipino-Americans from across the US sent in their donations in form of their songs and eventually I received enough to put together this album. Some are written with the benefit in mind and some are works that have been pulled out of their treasure chests so they could at last be heard for a noble cause. These songs represent our hands reaching across the world to help our fellow Filipinos in need." "I’d like to thank the artists, for rising to the occasion and lending their time, talent, efforts and craft to help the cause of this CD." The CD has been available since May 2006. Learn more and purchase the CD at this site. 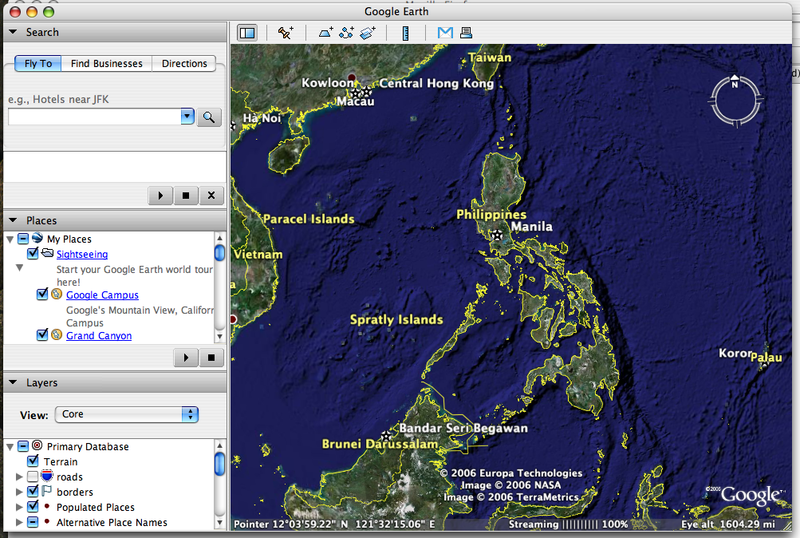 I've been hearing about Google Earth for quite some time now, but I ever had a chance to visit the site because the IBM laptop issued me belonged to the following categories under "Google Earth may not run if you have: a) a desktop computer older than 4 years old, b) a notebook computer older than 2 years old". Isn't it so straightforward and layman? 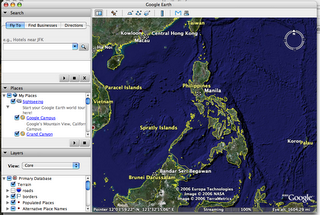 But now, thanks to the PowerBook (and Follen's prodding), I am able to see Google Earth at last! You first get a view of the earth from outer space. 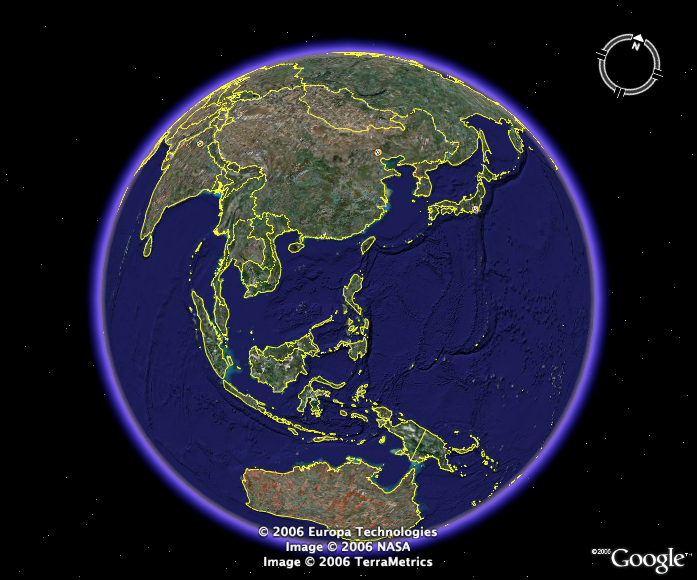 You can rotate the globe how ever you like. Constantly rotate it in one direction and it will continue rotating when the mouse is released. Next: zoom in! zoom in! zoom in! 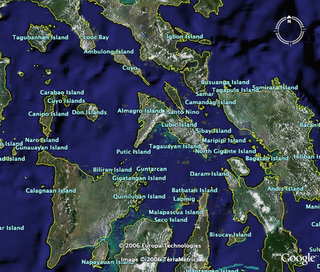 Where else would I go to but my beloved Philippines! Zoom in and you get names of places. Zoom in some more and you get to see your hometown! 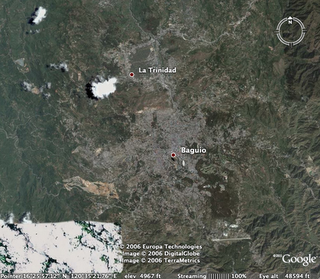 Mine's Baguio. Wow, look at that. 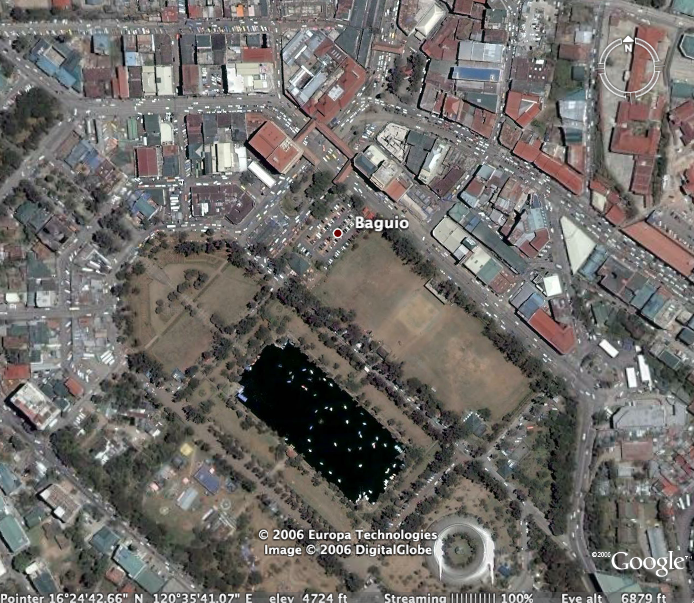 Burnham Park! And Burnham Lake with rented boats rowing about! I was even able to see our office building here in Manila! What a wonderful piece of innovation Google Earth is. It makes us see how big, and yet how small, our green planet is. And that everybody's interconnected somehow. This is truly a marvel. I know I've just scratched the surface of this application and marveled at the graphics, and this is just the free version. You can apparently add content to it as well! So many things to explore. Wow, this makes learning about other countries more interesting, isn't it? I'm babbling. So many possibilities! Thanks Google! 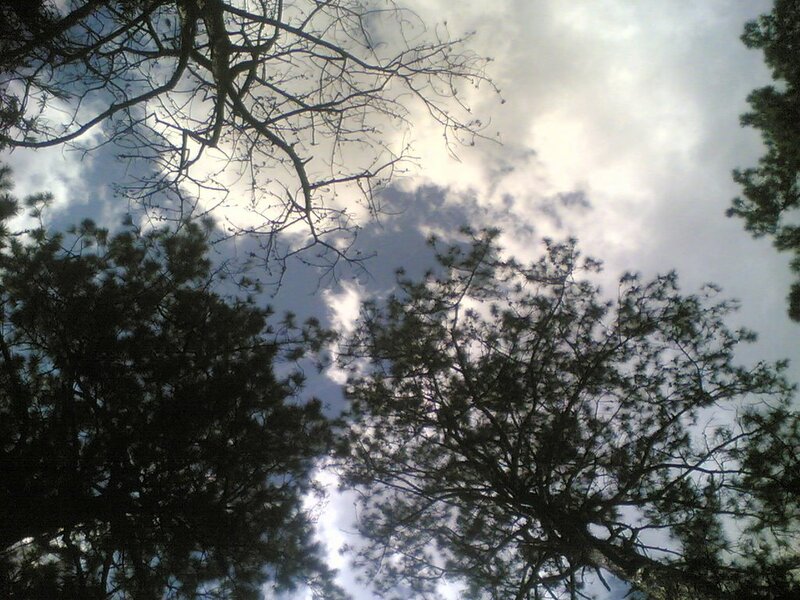 Sure, I am thankful that I have a job, but don't you just wish sometimes that instead of sitting in front of a monitor, you're staring at the clouds hover lazily across the deep blue sky instead? I guess this is one of those days. I can't concentrate on my work the whole afternoon! Let me see... where would I rather be? - In a public library chock full of old books. The smell of libraries are somehow endearing to me. I can spend hours poring over at books and reading up on just about anything. - On a grassy lawn, staring at the sky! Hmmm... with just enough time, I can do some of those things! I'll file for vacation leave next week! That's something to look forward to! I was rummaging through the net for some royalty-free, birthday-related images when I cam across this happy unbirthday site. Did you know that when you sing "Happy Birthday to You" in a public place (such as the restaurant), you are actually committing copyright infringement? Yep, the song is copyrighted by no other than Time Warner and singing it in a public place is tantamount to public performance of a copyrighted song and is deemed illegal if royalties have not been paid. My reaction: What about the kids who sing carols door-to-door? Wanna make them pay royalties too? Sure, the song may be copyrighted, but isn't there a clause whereby you need to pay royalties only if you profit from it? (Example: you record it as part of an album that's sold, or part of a concert). Wait ... so the kids ought to pay royalties for the carols they sing then? Well, a lawyer I'm not so anybody dropping by this blog knowledgeable on the matter of copyright infringement, shed light on this matter please? Hmmm.... time to cook up a new jingle to sing Happy Birthday with. Until then, have a great weekend ahead! Pauline and I been munching on fried chicken, burger McDo, and spaghetti for a couple of days now. It's because of their new toy line accompanying with the Happy Meal. Bobbing Heads! But not just any bobbing head. 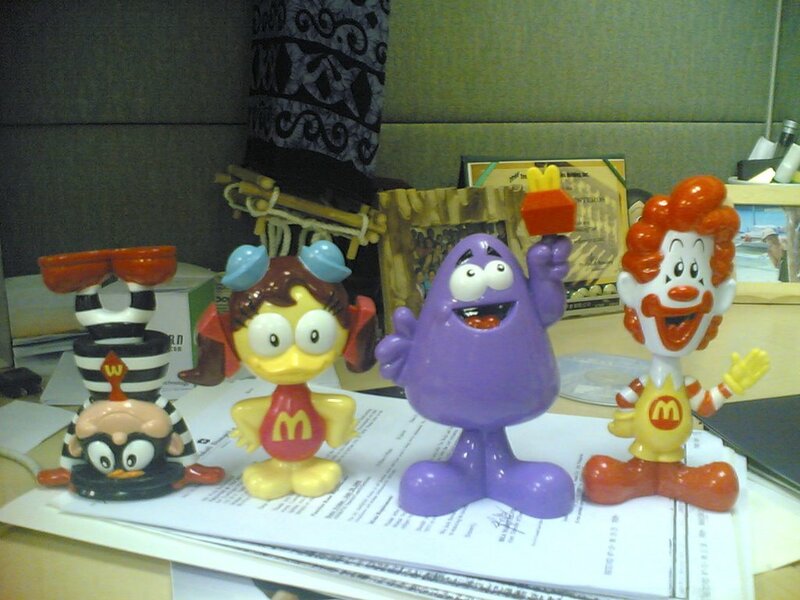 The original McDonald's characters have come back! 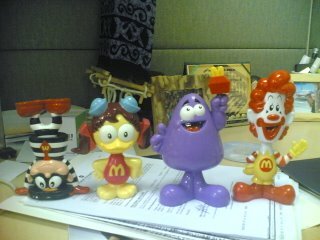 Grimace, Birdie, Hamburgler, and of course Ronald himself. When I find something really nice, I go for the set. So ... what will it be for the next couple of lunches? Another spaghetti? Or Burger? Hmmmm... Chickie and Hamburgler are mine, the other two are Pauline's so I have two meals to go! These toys are for you, Jo-Lo! PS. Wil, a commenter to this post, said: "I'm not the first to say it, but what the heck is Grimace"? The answer can be found at Wikipedia. Something new to learn! 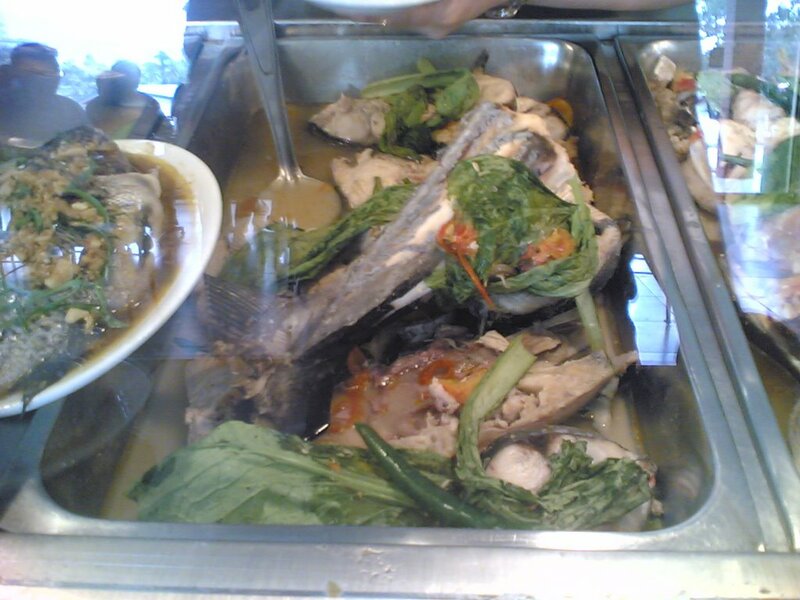 there is also something called Sukob. There are two kinds: sukob sa patay (death) and sukob sa kasal (marriage). The gist if the sukob belief is this: if somebody dies or if somebody gets married within the immediate family members, you have to wait for a full year before getting married or else misfortune will arise from it: be it loss of material possessions, divorce, or worse, death. My wife and I had to follow the sukob belief because her brother got married within months of our planned date, and so following the advise of the elders we postponed it to more than a year later. 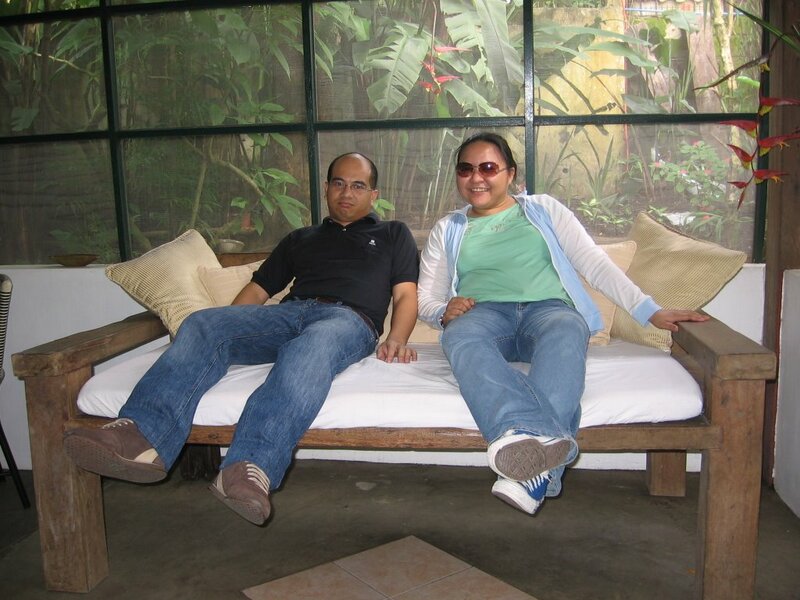 The misfortune that can arise from not heeding sukob was concretized in the movie with the same title starring Kris Aquino and Claudine Barretto. No sooner had Kris Aquino gotten married (of course following all the advice of their parents) than bad luck started following them, even involving their close relatives. A "happily ever after" story it's not. They become baffled. especially since they did follow all the beliefs laid out before them. When they finally realize the cause, it was due to a big lie that was kept hidden from them for many years. I watched the movie (along with an officemate who needed prodding because he preferred action movies over suspense thrillers) because I found a movie of a similar theme enjoyable. This was Feng Shui which also starred Kris Aquino and likewise directed by Chito S. Roño. Feng Shui was a play on Chinese superstitions and involved a charm that was supposed to bring good luck but instead brought with it a horde of ghouls and harm in exchange for the fortune it brought. Sukob is even better than Feng Shui, with a twist that would keep you guessing where the malas (bad luck) is coming from. The scenes switch from one event to another, happening at that same time. A very effective misdirection is given at the early portion of the movie and slowly unravels the facts. 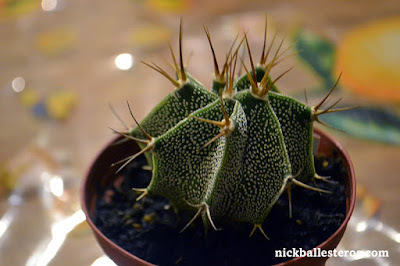 Like Feng Shui, it's not really a horror movie that will keep you awake at night. But there's a generous dose of startling sound effects and scenes though which keeps you at the edge of your seat. In typical Filipino fare, the leadies kept screaming and giggles and hushed talks would ensue afterwards. I would normally get distracted at this juncture but I found myself grinning as well. It was fun. Yep, a fun, scary movie. I even got goosebumps in some scenes. My companion consequently commented that this was even better than the movie Omen. I highly recommend this film for a night of goosebumpy, startling fun. Expect excited discussions with friends on supersitions and how the movie's twists worked out after watching.